The Japanese cooling company Scythe extends its product portfolio by a new Top-Flow CPU Cooler model. The new Choten CPU Cooler is able to effectively cool the CPU as well as the surrounding components thanks to a Top Flow design or as other brands call down draft by pushing the air towards the motherboard. This air circulation can help longevity in situations where airflow isn’t optimal like small form factor PC’s or PC’s with a lack of fans. Great performance along with unrestricted compatibility to high-end memory modules have been among the key factors when designing the Choten. 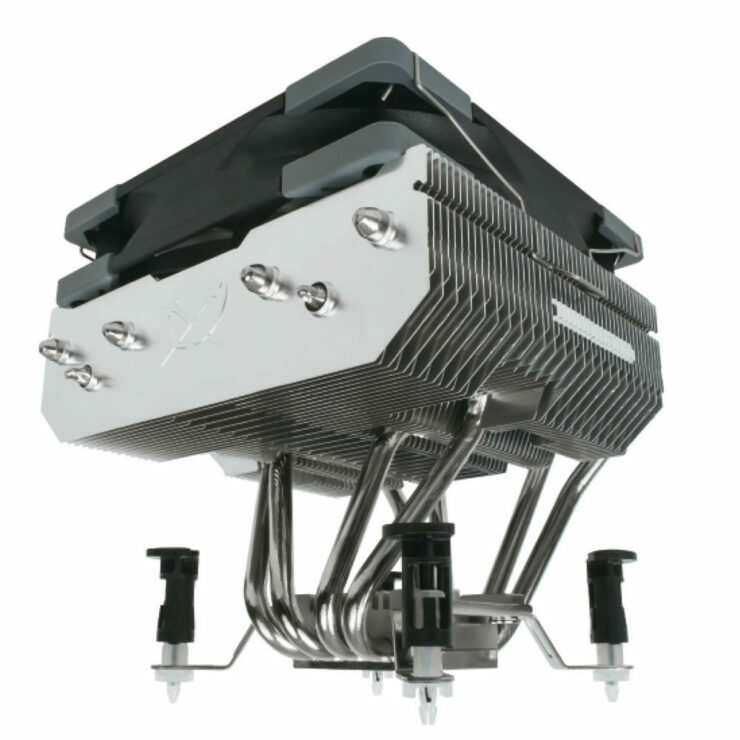 This has been achieved by applying the asymmetric heatsink design. The Choten CPU Cooler is bundled with the Scythe Kaze Flex 120 PWM fan and assures an easy fit into the majority of cases thanks to a total height of only 120 millimeters. Scythe Choten utilizes a total of four high-quality 6 mm copper heatpipes which are connecting the solid copper-baseplate with the fin-stack. The copper parts, such as the baseplate and heatpipes are covered by a layer of nickel, which prevents corrosion and improves the quality further. Aligning the aluminium heatsink parallel to the baseplate has the advantage that the airflow of the attached fan is guided toward the motherboard. This allows all the components surrounding the CPU socket are able to benefit from this air circulation. Memory module compatibility was an important goal in designing the Choten with the big clearance between the heatsink and the motherboard allowing great memory compatibility. 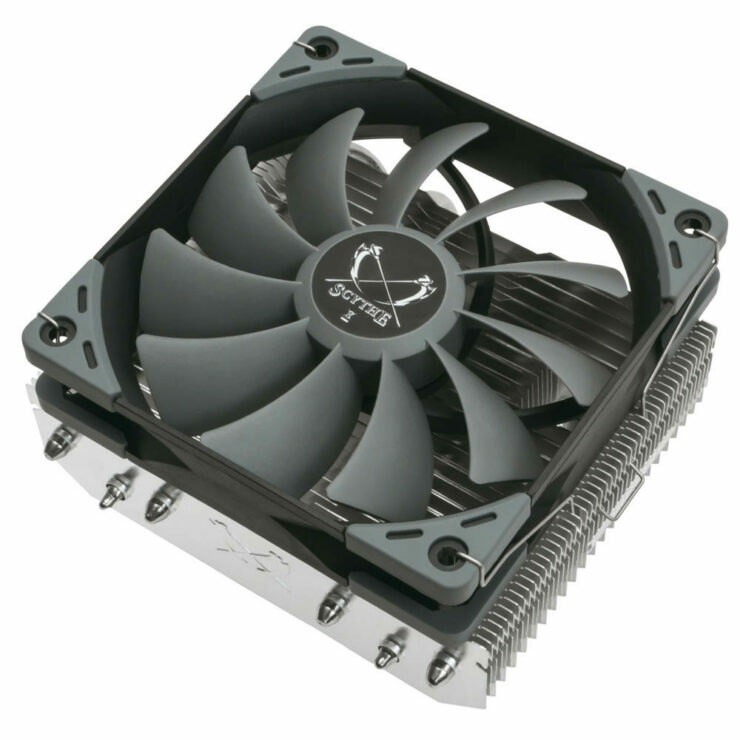 The Choten CPU cooler is bundled with an axial fan from Scythe’s high quality Kaze Flex 120 PWM series. This model covers a wide PWM fan speed range starting at 300 RPM and going up until 1.200 RPM. Users are able to adjust the fan speed curve according to their requirements using the motherboards fan controller. The supplied fan model delivers steady airflow from 28,2 to 86,93 m³/h at low noise levels from 4 to maximum 24,9 dBA. The Kaze Flex 120 PWM fan series features a long lifespan of 120.000 hours (MTTF) and quiet running thanks to the high-quality Sealed Precision FDB. 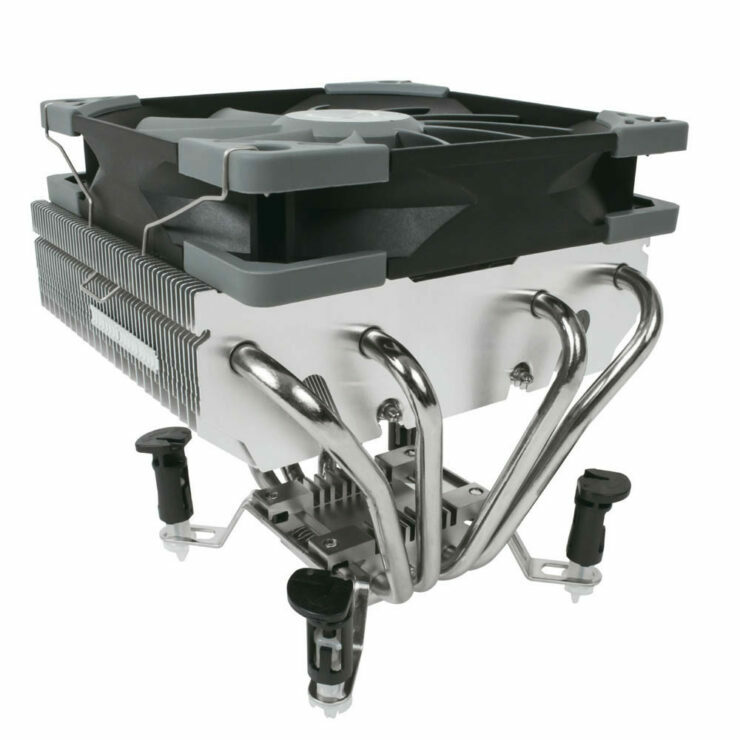 The fan frame is fitted with rubber shock absorbers in the corners of the fan to prevent the transfer of any vibration. With the goal to meet the requirements of the majority of users, especially those building their first PC, a simple and fast mounting process is crucial. Scythe’s recently developed second revision of the “Easy Clip Mounting System” (E.C.M.S. II) is used to achieve that goal. 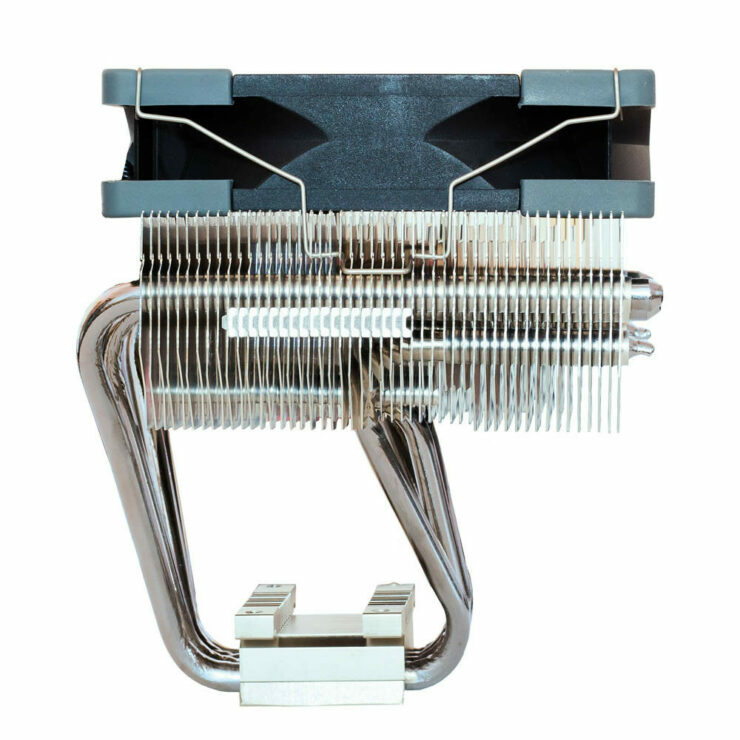 The Choten CPU Cooler comes with pre-installed clips for Intel sockets, which are based on the easy-to-mount Push-Pin clips. The mounting clip for the AMD sockets on the other hand, is utilizing the original AMD retention module on the mainboard. The list of compatible CPU Sockets features the Intel sockets LGA775, LGA1150, LGA1151, LGA1155, LGA1156, LGA1366 as well as the AMD sockets AM2, AM2+, AM3, AM3+, FM1, FM2, FM2+ and AM4. The product package includes the mounting clips, thermal grease and a multi-lingual installation guide. EU pricing is slated at 29,30 and we should expect US pricing to be similar. The Cooler should be hitting store shelves in the coming weeks.